This time the spotlight is on Resvology's Age Corrective Eye Cream, which is part of a Youth-Activating Skincare known as one of the best kept beauty secrets from fashion models and Hollywood's celebrity stars due to the Super-Charged Radiance capacities. After putting to the test Resvology's Age Corrective Eye Cream on one of my insiders, I would like to share this beauty scoop with our readers and followers. 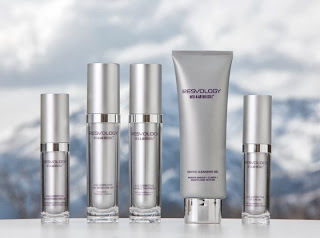 When I learned about Resvology's Age Corrective Eye Cream, I decided to test it on the skin of my U.S. brands insider, Rosa, a 50 years old "girl", a curvy fashionista, who perhaps complains in front of the mirror about a skin that doesn't corresponds to her youthful spirit and that was definitely desiring to reduce her signs of aging. When she first applied it, I receive an sms saying how much she loved the refreshing sensation, then another sms saying that she felt a sort of pleasant tickling while Resvology's Age Corrective Eye Cream minimizesd her crow’s feet, fine lines and wrinkles. After 24 hours of the first application, Rosa sent me another sms, saying she experienced visible results like, reinforcing skin firmness and elasticity, deflating puffiness and brightening dark circles, and a complete radiant feeling before applying her make up. Then she asked: me can I apply it to my entire face? (joking) and I replied: I'm glad you like it, but there is the rest of the Resvology's Youth-Activating Skincare line of products for that. 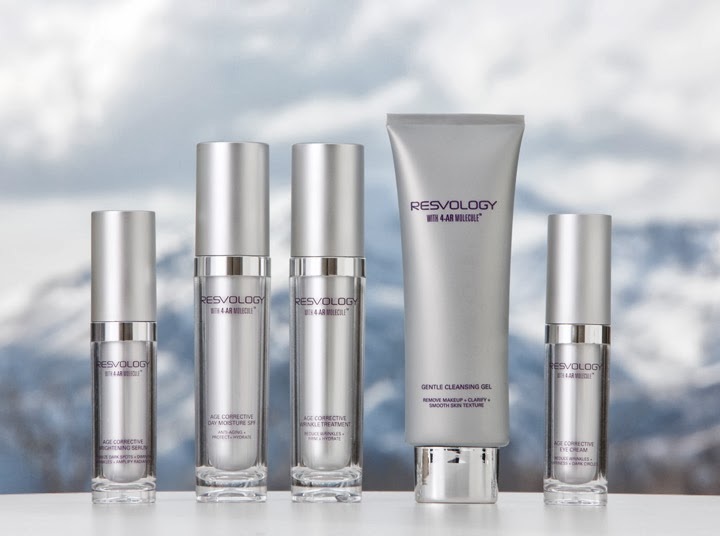 This positive experience is possible because, Resvology's Age Corrective Eye Cream is a hydrating and rejuvenating anti-aging eye cream infused with active peptides, botanicals and the multi-patented 4-AR Molecule™, clinically-proven to help fuel healthy gene activity by 330%. Safe for all skin types, this lightweight formula helps minimize fine lines, wrinkles and crow’s feet, improves skin firmness, deflates puffiness and brightens dark circles. The 4-AR Molecule™ is the only stabilized ester of the widely recognized “youth-molecule” resveratrol. 4-AR Molecule™ was discovered when our distinguished scientists, specialists studying gene-activation, were awarded a medical grant to study the problems of aging skin from the National Institutes of Health in Washington, DC. After 10 years of medical research, they created the pharmaceutical-grade, multi-patented 4-AR Molecule™, a clinically-designed solution to help tackle specific aspects of aging skin. With exclusive active ingredients like the 4-AR Molecule™, Oligo Tetrapeptides, Panthenol, Barley, Sandalwood and Olive Extracts. 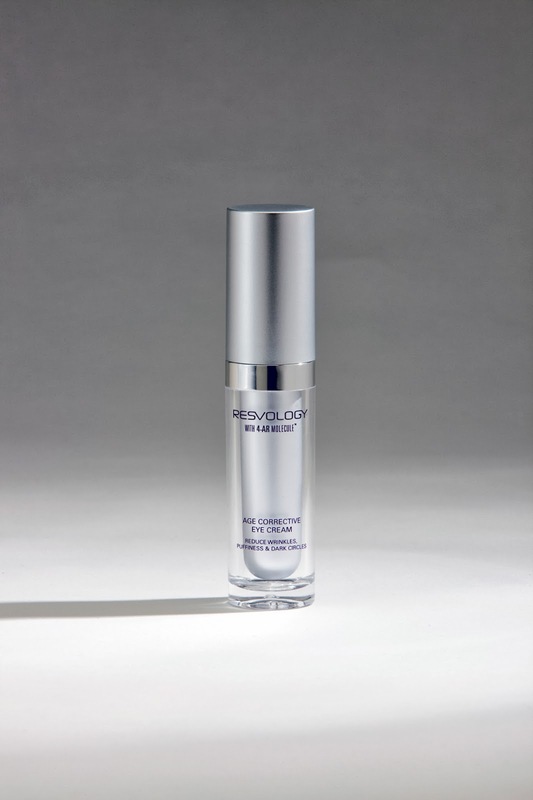 Resvology's Age Corrective Eye Cream Unprecedented Claims 100% agree fine lines and wrinkles are minimized, 100% agree area is firm and 100% agree eye area is hydrated. 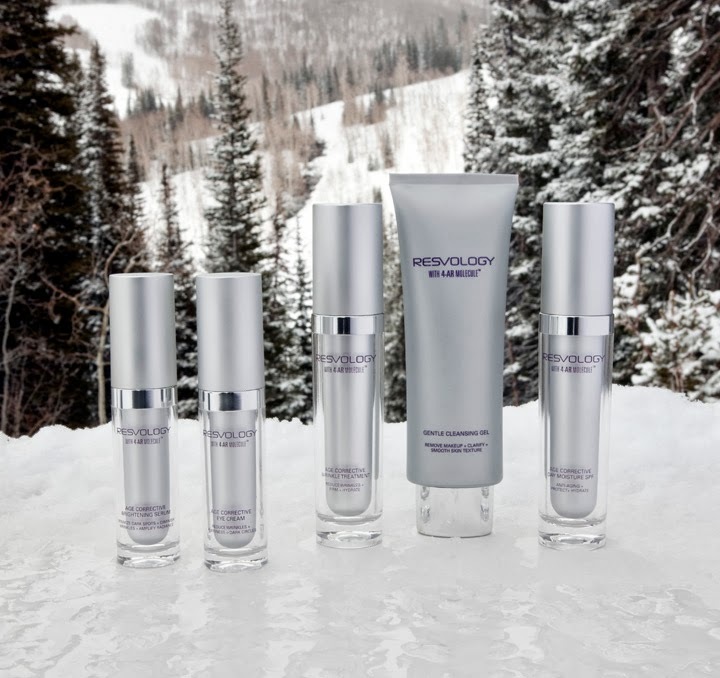 At Resvology, the dedication to advancing the potential of anti-aging skincare began in their research labs. Specialists studying gene-activation, distinguished scientists awarded a medical grant to study the problems of aging skin from the National Institutes of Health (NIH) in Washington, DC. After 10 years of medical study and investigation, they isolated the power of the first ever stabilized form of resveratrol acetate, now called the 4-AR Molecule™ (US PATENT 7,714,161, with worldwide patents pending), a clinically-designed solution to help tackle specific aspects of skin aging including fine lines, wrinkles, loss of firmness and elasticity, uneven skin tone and sun damage. The only brand in the world to feature this transformative breakthrough, 4-AR is clinically-proven to help keep skin acting and looking younger. So what are you waiting? You can buy the Age Corrective Eye Cream on Resvology's official website. Suggested price $89.00.